If you’re new here, check out a few of Rachael’s favorite posts, and then read on to learn more about our site, Nothing if Not Intentional! Why We Skipped the Training Wheels: The EASIEST Way to Teach Your Child How to Ride a Bike! 2007—We take our first trip to Guatemala. With our church, we start a sponsorship program called Foreign Exchange that connects families at our church to individual boys at the orphanage we visit (Eliza Martinez). These families send sunglasses, school supplies, pictures, money for a pizza party, letters, and other personalized mementos for “their” boy each time we travel to Guate. We want each boy know there is at least one person who is absolutely crazy about him. 2008—The blog is born and given the name “The Pipeline.” “The Pipeline” is kind of like a personal mission. Ever since we got married (June 2005), we’ve been trying to figure out how our seemingly contradictory desires fit together. You can read a bit about that journey here. 2009-A lot is changing in Guatemala. “Our” orphanage, Eliza Martinez, is combined with several other orphanages in “La Ciudad de los Ninos” or “The City of the Children.” Instead of 75 teenage boys, there are now 400 or 500 babies, toddlers, pre-teens, and teenagers (boys and girls) all living together in one giant complex. It’s even more difficult to carry out our Foreign Exchange goals of making each boy feel incredibly loved. Along with Eliza Martinez, each visit to Guate includes time with the babies and toddlers at the Buckner Baby Home. 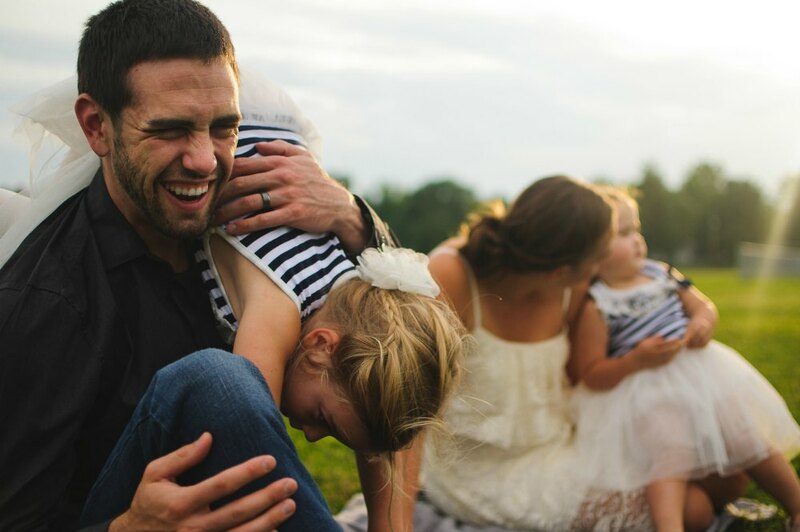 When the Buckner home closes unexpectedly, Nate and I track down two of the children, Alejandra and Daniel, and meet up with them in their new homes. Alejandra was six when she moved to New Life Children’s Home. She is now far away from her abusive family (she has scars on her legs from where her father boiled her). She’s healing. She’s happy. We continue to sponsor her through NLCH, pray for her, and visit. Daniel, our sweet Daniel. Daniel was moved to another fantastic orphanage, Casa Bernabe.Some of you may know that adoptions from the U.S. to Guatemala are closed. But if they reopen, we want to adopt Daniel. Supposedly, the new system will only allow for older children or children with special needs to be adopted. Daniel is both. He’ll be thirteen in April 2015. And he has Fetal Alcohol Syndrome. He desperately wants a family. He desperately wants us to be his family. We desperately want him. 2010—Our first baby girl (“Miss A”) arrives and changes everything.Kind of.While serving as a family is different from serving as a couple, our personalities and life goals haven’t changed. God continues to allow us to stay connected to Guatemala. We traveled there three times while I am pregnant. We continue to pray about living overseas but want to make the most of our time here in the Midwest. 2011—After a court hearing to have Daniel declared officially adoptable (in preparation for us one day adopting him! ), his birth mother reappears. His family thought he was dead. Custody is granted to his aunt. He moves from Guatemala City to a town about four hours away, Xela. In November, we take our tenth (TENTH!) trip to Guatemala. This is our oldest daughter’s second trip. 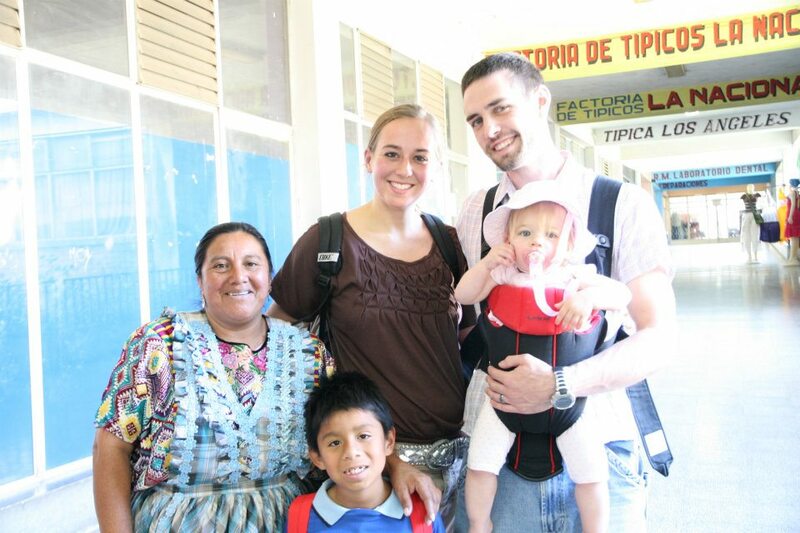 Our primary goal is to visit Daniel in Xela. We meet his aunt; she’s amazing. We help enroll him in school and try to find a way to stay in his life and support his family. Several months later, we hear he has moved back with his mom. This arrangement isn’t as good.News from Guate is scarce. We love Daniel and miss him like crazy. 2012—Our second baby girl (“Baby Z”) is born in July. Again, our world is rocked. We’re now adjusting to life with two girls. We continue to desire to serve God both here and overseas. In need of an outlet for writing, the blog begins to include more posts about family life in the Midwest. My favorite things to blog about are family travel, baby play, and activities for toddlers. 2013-The blog is renamed “Nothing if Not Intentional” to reflect our bigger focus. Read about the new name here. I am loving your pipeline idea & theme. I have started mine but don’t really have much of a theme…bc life right now doesn’t have much of a recognizable theme for us. I do love your writing style, so I’ll enjoy checking in to see what’s up in your world. I’m so proud of you guys. What you’re doing is inspiring and admirable. Keep up the good work and I’ll be praying for you! 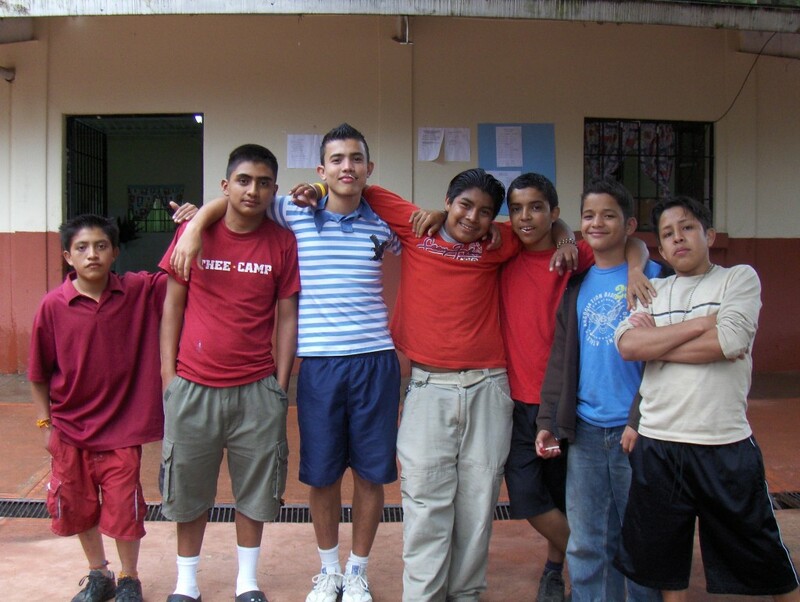 I’ll be visiting Guatemala next summer with a group of educators in tow for Spanish study. We’ll be spending a week in the Antigua area and a week on Atitlán. My oldest son, 23, will be part of the group. 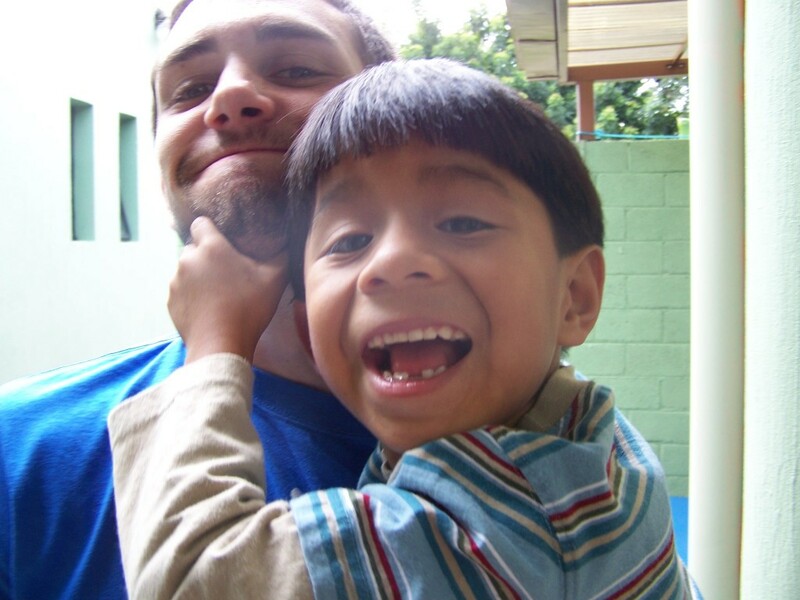 Carlos was born in Guatemala and has recently expressed an interest in visiting the orphanage where he lived until he was 4 years old. His orphanage was called Eliza Martinez which, we know, has gone through various states and locations in the last 19 years; your blog was one of the few current references to it I could find. Carlos would like to solicit donations from local businesses and take needed items when we head down on our trip in July. We’re wondering if you could help us make connections with Eliza Martinez personnel or another place that could use donations and maybe a couple of friendly faces to play with the kids for a day. Not much time, I realize, but maybe a day brightener. We have a full day before the rest of the group arrives: Saturday, July 18th. For donations we were thinking school supplies, clothes, shoes, toys, balls, toothbrushes, or whatever else is most needed. Please let me know if you can help us hook up with an organization that could use the help. I love reading your blogs and how you are showing God’s love overseas. It is very inspiring and makes me feel blessed to know such wonderful people! I hope God blesses you in all you do. Wow, you guys are so amazing! So happy to have found your blog and to read your inspirational story! What a powerful example you are setting for your girls. My heart breaks for you that you are unable to have Daniel with you or at least see him in a good living situation. But what a difference it makes for him to have you in his life, and who knows what the future will bring! Aww, Leanna! You are so sweet! Thank for reading and for your encouragement. I feel like you understand the heartbreak of Daniel’s situation. Thank you for your care and compassion. I really appreciate your comments! wow, what a great story! You return to Guatemala like I do to Asia. 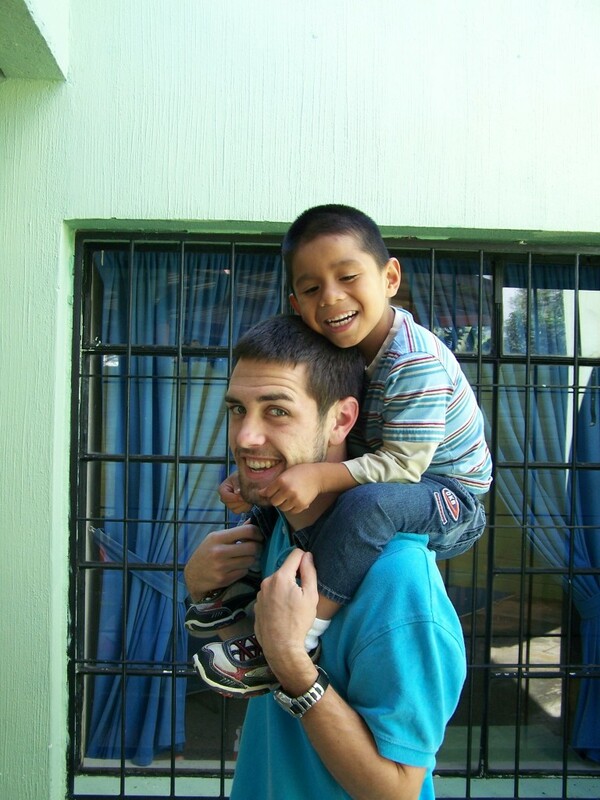 I can’t wait to go to Guatemala some day! How cool! And I can’t wit to go to Asia one day! Thanks for reading and commenting! 🙂 I’m off to go check out your blog now! Rachel, what a nice story. You both balance our world.. with so much hatred and violence out there, it is so inspirational to read your path and devotion to these children. I am Latin (Uruguay) and even from there it is so hard to adopt.. why does adoption come with such a price.. Not only monetary I mean so many closed doors. There are so many wonderful families like yours wanting to make a difference in an innocent child’s life. I do hope and pray that Daniel and many Daniels in the future find the safety and happiness they deserve as they all are children of God!!! Monica, what a sweet and thoughtful comment. I saw it earlier in the day, but I wasn’t sure how to respond to your kind words. I’m humbled and thankful that you took the time to write. I agree with your last line completely! YES! Thanks again for reading and for responding! Loved finding your blog through Pinterest! So excited to hear of your love for Guatemala- my husband and I are missionaries here with our almost-one-year-old daughter. 🙂 our prayer too is that they would open adoption up here again! Oh how cool! Do you have a blog? Or a newsletter? I’d love, love, LOVE to keep up with you! Pingback: Socially Conscious Jewelry-- You won't believe how this is made!